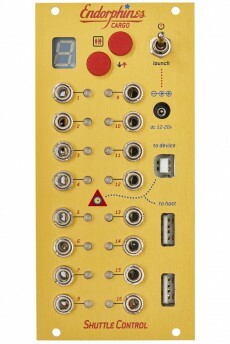 Shuttle Control is a 16-channel MIDI/CV interface which can recieve USB-MIDI at a number of inputs simultaneously. For instance control signals from a tablet/PC/Mac at the "to device socket" or USB-MIDI-Keyboard or controllers via the "to host" sockets. As the sockets provide for a +5V voltage you can use them for example for a LED lamp. An editor allows you to create and save up to 16 different mappings which can be recalled directly at the module. Those mappings can be for example 8-voice polyphonic setups with different CV scales (1V/oct, 1.2V/oct ot Hz/V). This makes it possible to use VCOs with different CV scales simultaneously to integrate them in a polyphonic setup. Besides this you can assign LFOs, triggers, ControlChanges and random to the outputs. Additionally the module can be used as a power solution for a small modular system and has an input for an external laptop brick power supply (12-20V). 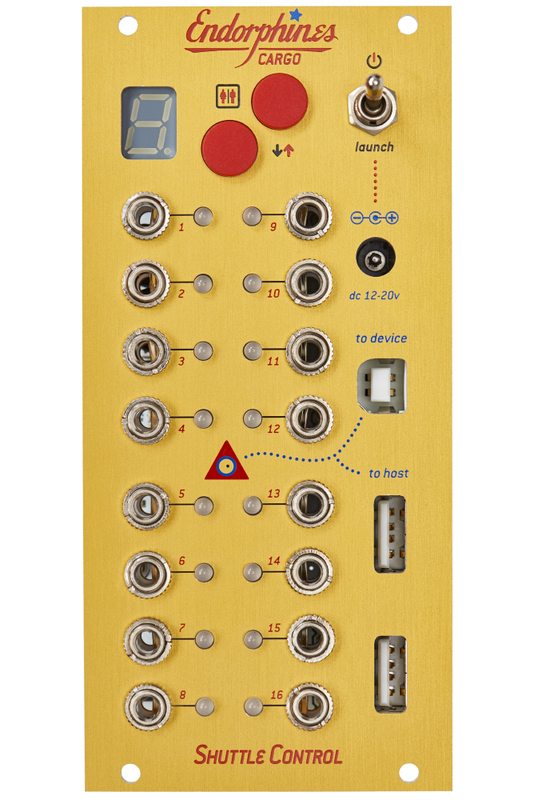 Also it can pass the Eurorack operational voltages via a long ribbon cable with a number of Euro connectors, both male and female sockets. 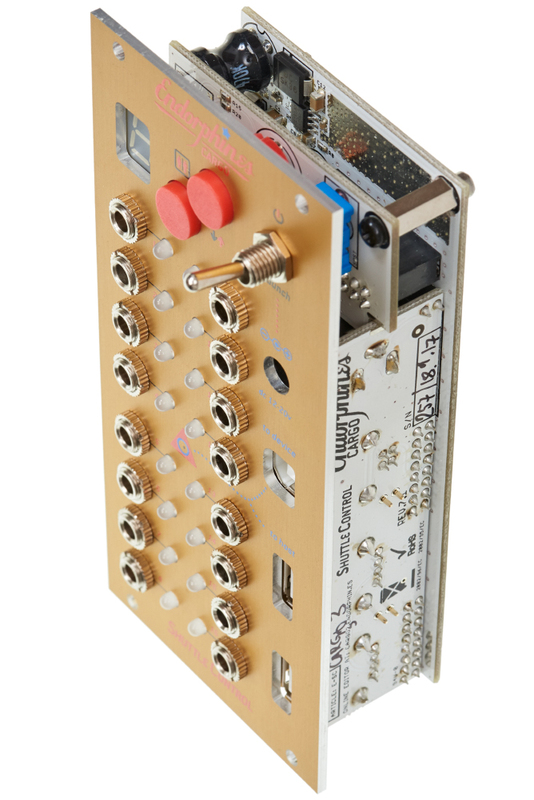 The note CV and gate signals generated by the MIDI/CV interface can be sent to other modules internally via Doepfer's internal bus. 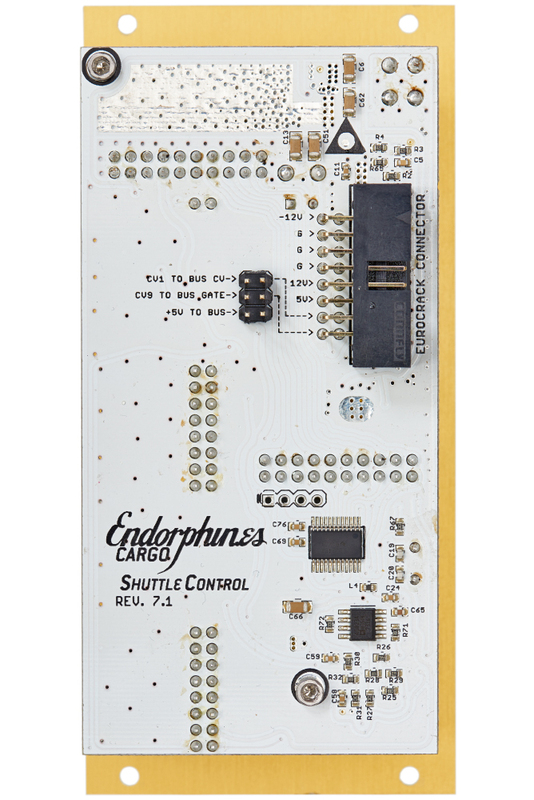 Endorphin.es' own Terminal and Furthrrr can read their signals so you can create an entire Endorphin.es system easily.